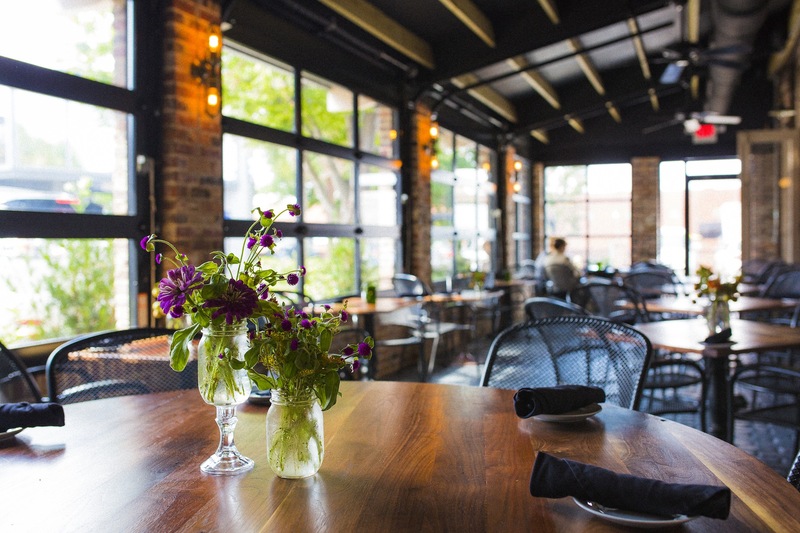 The new patio, which was demolished and rebuilt with the same salvaged brick from the old patio walls, boasts new garage door-style windows, giving the patio an open, outdoor feel – with the comfort of enclosed indoor seating and air conditioning, which keeps the patio cool even on Columbia, SC’s “famously hot” days. 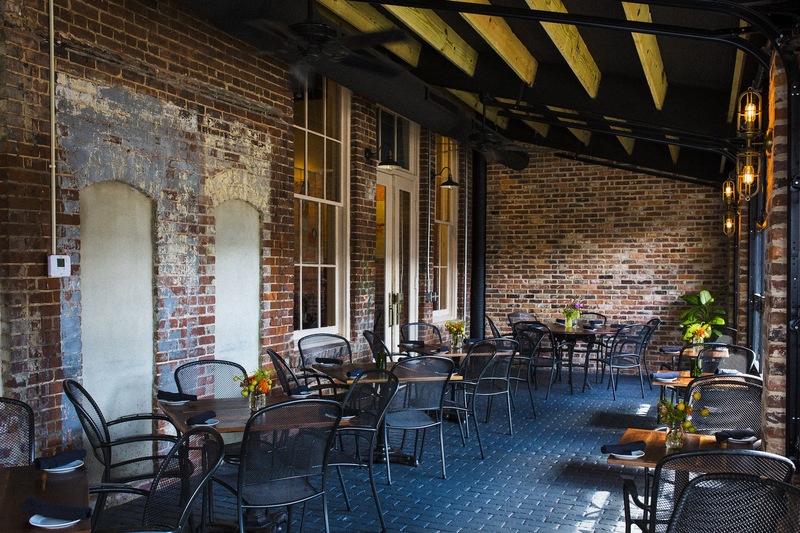 In the cooler months, guests will enjoy outdoor seating with the warmth of the heated indoors, making patio dining in Columbia, S.C. a year round enjoyable experience. 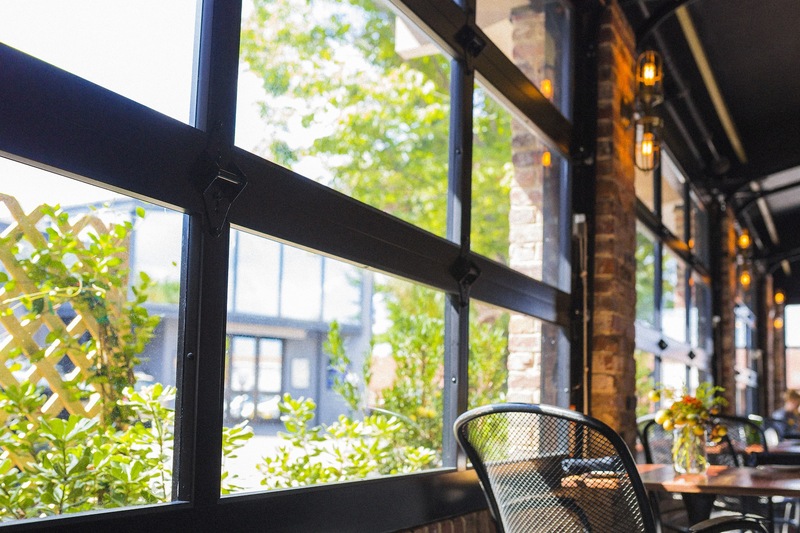 And on those perfect spring and fall days and evenings, the large glass garage-door style windows roll up, converting the space into an open-air dining setting. 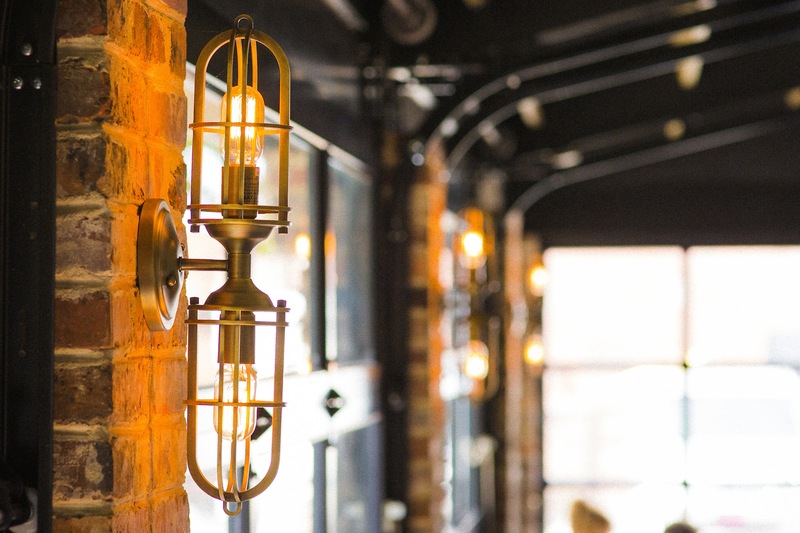 The scenic windows and recovered brick walls aren’t the only one-of-a-kind features Motor Supply added to the new patio: Bricker & Beam (formerly Reclaim Workshop), a local Columbia, S.C. business that creates handcrafted wooden furniture and refurbished leathergoods, worked with Motor Supply owner Eddie Wales to craft 10 tabletops for the renovated space. 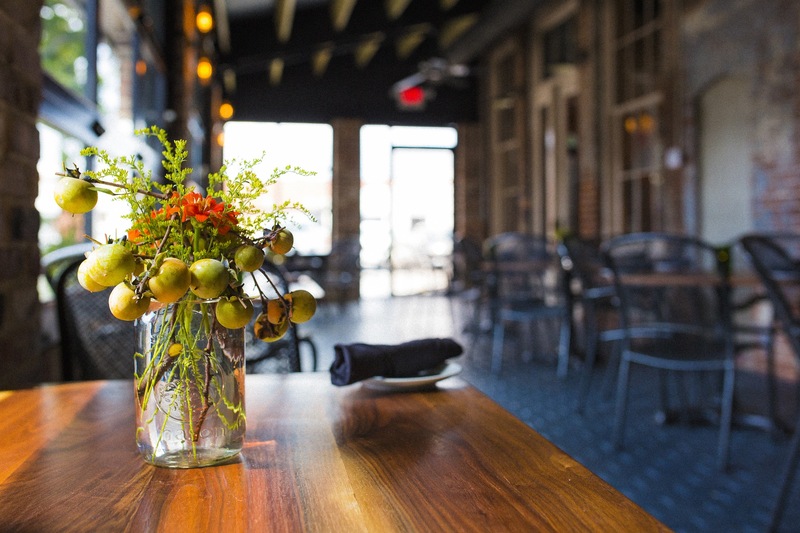 Josh Cox, owner of Bricker & Beam, repurposed antique black walnut wood from old barns in Western North Carolina into the beautiful tables that now furnish Motor Supply’s new patio. Wales was thrilled to work with a local craftsman to build the exact tables he wanted for the restaurant patio’s new look. “Even our tables are sustainably produced,” he beamed. Wales and Cox were recently featured in a WLTX News 19 story about the two local companies’ collaboration. The sleek, streamlined design of the new patio is thanks to Studio 2LR Architecture, a Columbia, S.C. firm, along with Wales' wife, Tracy Wales. Local company Palmetto Construction & Renovations completed the build, and Columbia’s Hay Hill Garden Market landscaped the surrounding area. Come to Motor Supply to check out the newly renovated patio – any time; any season.